Offering you a complete choice of products which include manual strapping tools, pet strapping roll dispenser, stretch wrap roll dispenser, bopp gum tape dispenser, hot air gun sv 900 and hand sealing machine. 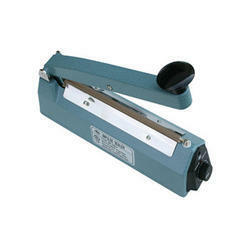 We are engaged in manufacturing supplying optimum quality Manual Strapping Tools. 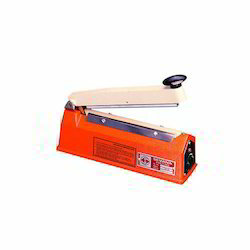 This strapping tool is intended for wrapping and sealing of different kinds of materials for ease in loading, unloading or transportation. They are affordable and easy to use, which makes them a great alternative for light-duty bag sealing applications. 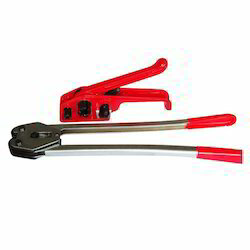 Additionally, we offer this strapping tool in various specifications according to the demand of customers. 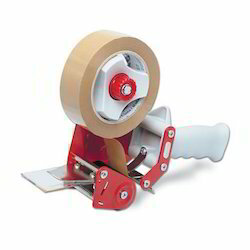 We are actively engaged in manufacturing and supplying superior quality Pet Strapping Roll Dispenser. 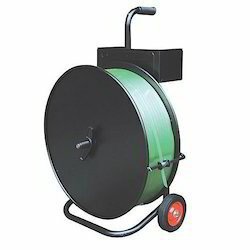 The offered dispenser is generally utilization for heavy steel strapping roll, heavy weight pet strapping roll and polyester composite strap. Offered dispenser is inspected by experts before dispatching at customer's end. This dispenser is available in numerous specifications according to the needs of our clients. With the help of our professionals, we have been able to offer our clients high quality Stretch Wrap Roll Dispenser. Offered dispenser is developed from the top quality material & latest technology in fulfillment with the standards of industry. This dispenser is tested in terms of quality so as to dispatch a defect free range. The offered dispenser is provided in various specifications as per the requirements of customers. Owing to our vast experience in the industry, we are engaged in manufacturing and supplying an excellent range of Bopp Gum Tape Dispenser. Offered dispenser is extensively used for flexible packaging purposes of boxes, cartons with ease in packaging industries. The offered dispenser is designed and manufactured using the premium quality components and sophisticated technology under the supervision of talented professionals. As well, our offered dispenser can be availed at market leading rates within a given time frame. We are well-known firm offering wide range of Hot Air Guns with varied specifications to meet the needs of our customers. 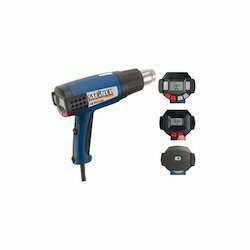 These air guns can be used for stripping paint and varnish, defrosting metal pipes. It comes with three different temperature settings which let you perform various tasks. The offered guns are well designed by our professional team to meet the norms and guidelines set by the industry. We have acquired a name in the market for providing excellent quality world-class range of Hand Sealing Machines. It is used for manual sealing of polythene bags and other thermoplastic materials. Manufactured using high-grade raw material, this machine is ideal for use in shops and bakeries. 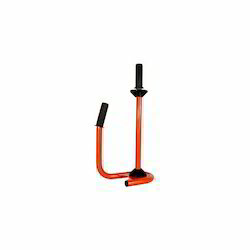 It comes with an adjustable electronic timer which makes it easy to operate. We also provide customization of our products as per the demands of our clients. Known for offering high-quality products; VG Enterprises is actively engaged in offering the wide range of Cord Strapping Buckles. 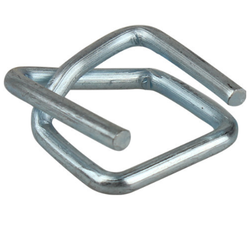 These buckles are ideal for mountaineering, transportation purpose, and carry heavy loads. To ensure the durability of our products, we use stainless steel in the manufacturing of these buckles which gives it a smooth finish, longer life, and perfect grip. The offered product is precisely designed using latest cut-edge technology to cater the needs of our clients. low temperature 40 degrees Celsius. Our Environ pallets are designed as an alternative to standard wooden and plastic pallets. Standard wooden pallets are often subjected to strict import restrictions and plastic pallets to environmental accusations and high costs. 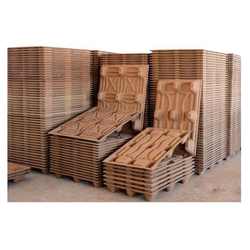 Made from materials ranging from recycled wood fibers to sugar cane pulp these pallets are ecofriendly and are in compliance with ISPM 15 Guidelines for wood packaging. They are relatively lightweight, nestable, and stackable and can be used with or without a skid. Thus, these pallets help reduce your storage space and freight costs during shipment while being environmentally friendly. Certified for export to Argentina, Australia, Brazil, Canada, Chile, China, India, Japan, Mexico, New Zealand, South Africa, Taiwan and the USA. All pallets are free of plant pests according to FAOIPPCISPM 15. Molded wood is not considered a phytosanitary problem according to international regulations, therefore, the pallet can be shipped to any destination. wood chips at as high as 65 DegreeC to a moisture content of less than 10%, it is then molded under a hot compression molding process with a similar binder used in particle board. This process involves a pressure and temperature of as high as 85kg/cm2 and up to 150 DegreeC, respectively. No living plant pests can survive this hot compression molding process. The high density of these compressed fibre pallets, as high as 1.3g/cm3, produced under this process is resistant to any wood boring insect and future infestation. Our Enviro pallets are AQIS and Customs approved for export out of and import into Australia. Contains low levels of formaldehyde emission (0.0012mg/L), tested in accordance with NIOSH 2016. Meets the criteria for landfill disposal, tested in accordance to Toxicity Characteristics Leaching Procedure. Comply with the Restriction of Hazardous Substances (RoHS) EU Directive 2002/95/EC of the European Parliament and Council January 27, 2003, on the restriction of the use of certain hazardous substances in electrical and electronic equipment. They are water resistant. The pallets passed a 3000 hours weathering test in accordance with ASTM 154 and can be used at low temperature as low as 40 degrees Celsius. They have a high resistance to termite attacks. All additives used to produce the pallets are fully compliant with FDA requirements. They do not support combustion and take 20 minutes to sustain farming at 480 degrees Celsius. These small yet powerful units are probably the most ubiquitous packaging machines, and are used to seal bags for a great variety of industries and applications. They are affordable and easy to use, which makes them a great alternative for light-duty bag sealing applications. The sealing process is simple: The operator places the bag over the sealing element and lowers the upper jaw thus activating the unit. The seal process quickly ends once the preset seal time is reached. The operator retrieves the sealed bag and repeats the process. Bags are sealed repeatedly and uniformly. Band Sealers are used for increasing production speeds in semi automatic bag sealing applications, where automation is not possible. They securely seal a large range of bag materials by creating a wide seal of superior strength and appeal. 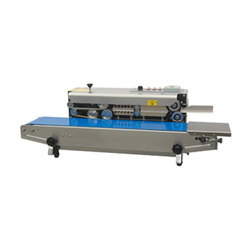 Sealer operation is extremely simple as the operator needs only to feed bags into the machine. The filled bags rest on a motorized conveyor belt while the top of the bag is carefully guided through the seal process by Teflon Bands. Band Sealers are designed to seal any thermoplastic material, including Polyethylene, Polypropylene, and laminations containing foils, such as those used to package coffee, or those that reduce electrostatic charge used to package electronic components. Most sealers are available with hot roll or hot stamping printing coders, and a choice of powder coated metal alloys or stainless steel construction. Looking for Packing Accessories ?